Painting can be an expensive hobby, but knowing how to mix colors properly can help you save money on paint. 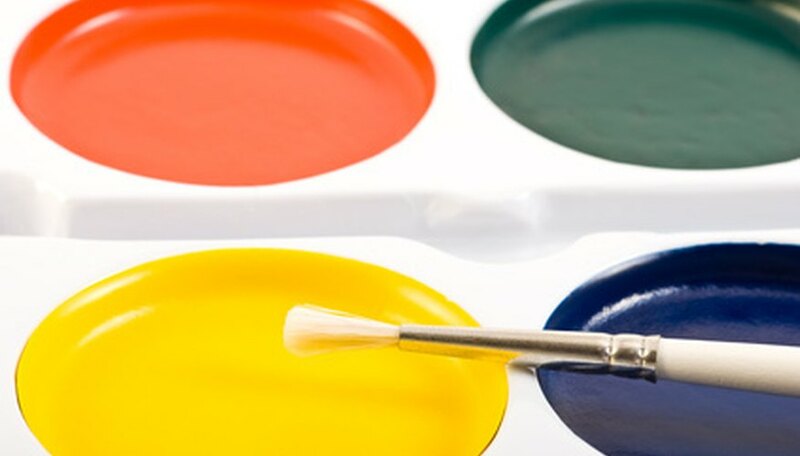 “As long as your have red, blue and yellow paint, then there’s nothing stopping you from mixing any color you want,” according to the EmptyEasel.com. On a CMYK color wheel, the primary colors are cyan, magenta and yellow; cyan has a blue-tint and magenta has a red-tint. These colors are necessary to make the color black. Purchase cyan, magenta and yellow paint. Find the paints at your local arts and crafts store. Squeeze cyan on a piece of cardboard. Loosen up the paint with your paintbrush, then pour the same amount of magenta as you did cyan. Mix well the cyan and magenta colors with the paintbrush. Add the same amount of yellow as you did cyan and magenta. Use your brush to completely mix the three colors. The end result will be black.